Bings for Wildlife was a project which carried out management at two derelict coal bings in the Inner Forth area - Fallin Bing, in the former pit village of the same name near Stirling and Garibaldi Bing in Falkirk. You can download and read the final project report from the downloads section of this web page. Derelict coal bings, left unused after the decline of the coal industry in the Inner Forth, have now been reclaimed for species which thrive on brownfield land, and provide spaces for walkers and wildlife enthusiasts to spend time out-of-doors. Scottish Natural Heritage have a briefing note about Coal Bings on their website here. The bings at Fallin (Stirling) and Garibaldi (Falkirk) were formed from the deposition of waste from their adjacent collieries. Brownfield sites like these contain important habitat features including species-rich grassland, bare ground, and early successional habitats that are fragmented in the natural landscape. Management of bings with wildlife in mind will improve their biodiversity and where possible, their amenity value. You can see a historic photo of Fallin Bing on the Fallin, Polmaise Colliery page of the Canmore website. Canmore is the National Record of the Historic Environment and is part of Historic Environment Scotland. In Fallin, over winter 2014-15, several volunteer workparties managed by Buglife Scotland removed approximately 1 hectare of scrub and invasive plants from the area, sowed wildflower seeds and planted over 2,000 wildflower plug plants. Management of the bing is predominantly for invertebrates, but will benefit a range of species. Future maintainance of the site is to be undertaken by Stirling Council, to ensure that it is kept accessible and appealing to people in the local area for years to come. At Garibaldi Bing, the site management plan was updated in late 2016 to inform management undertaken by TCV led volunteer groups in 2107. These groups cleared nearly half a hectare of scrub and managed areas of lichen and moss to benefit a range of invertebrates. Photos of wildflower plug planting and scrub clearance at Fallin Bing in 2014-15 courtesy of Suzanne Burgess / Buglife Scotland. 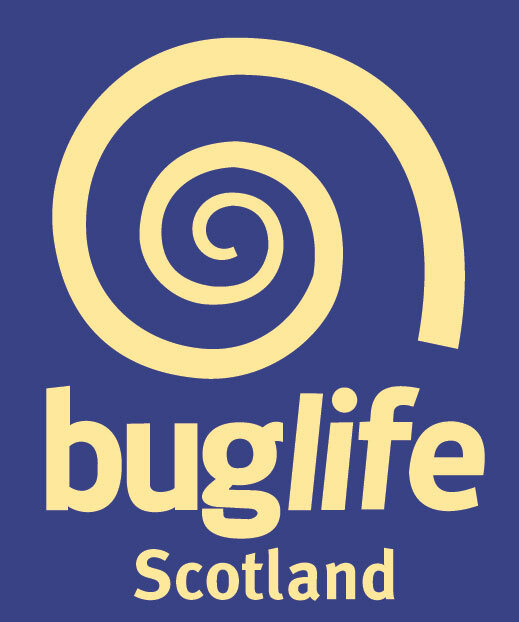 Photos of Garibaldi Bing workparty and view (2017) courtesy of Suzanne Burgess / Buglife Scotland. The view from Fallin Bing towards Wester Moss in autumn (2014). Photo: Kate Fuller / IFLI team. Buglife staff and volunteers previously worked at Fallin Bing in 2013 as part of the ‘All Our Stories’ project. Get inspired here. This site, which serves as a reminder of the mining heritage of the Inner Forth, is offering a new opportunity for the community to learn about the past, whilst undertaking activity which contributes to a healthy and active lifestyle, and a healthy ecosystem.